Lauren was born in Summit, New Jersey and did all of her classical ballet training at Princeton Dance and Theater Studio with Risa Gary Kaplowitz and former American Ballet Theater Principal, Susan Jaffe. She freelanced with ballet companies in NYC and all over Europe. Lauren danced in the final round of the Tallinn International Ballet Competition and won scholarships with Dortmund Ballet, Orlando Ballet, and De Dutch Don’t Dance Division. She attended summer courses with American Ballet Theater, Dutch National Ballet, Prague Masterclasses and Les Etes de la Danse. Lauren also completed workshops with Netherlands Dans Theater and Dresden Ballet (ARTof). In January 2016, Lauren won a choreographic residency and bursary at Dance House in Dublin, Ireland. She completed her first piece, “Studies in Red” during this residency. 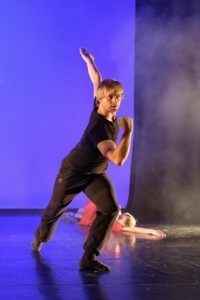 While in Princeton Dance and Theater Studio's Youth Company, Lauren attained her Bachelor of Science in Business Administration from The College of New Jersey. Lauren also holds an advanced Pilates Mat Certification from the National Training Center in Dublin. Niklas was born in Stockholm and trained at the Royal Swedish Ballet School. In 2010 he moved to Moscow and graduated from the Bolshoi Ballet Academy. 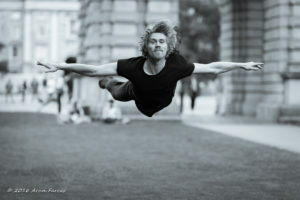 Niklas has danced with Peter Schaufuss Ballet, Royal Swedish Ballet, Ballet Ireland and New English Ballet Theatre. In 2014 he became Guest Artist with the Greek Northern Ballet. Nicole began her ballet training with Brighton Ballet Theater in Brooklyn, NY. She then went on to study at Manhattan Youth Ballet in New York City. Upon graduation, Nicole was invited to train under Gelsey Kirkland at the Gelsey Kirkland Academy, where she later danced as a member of the studio company for three years. Nicole worked in ballet companies in the United States and abroad including: Nevada Ballet, Ballet Theater of Sibiu, Connecticut Ballet, Jersey City Ballet, Moscow Classical Ballet, The Armenian National Opera, and Les Grands Ballets Canadiens. Hampus completed his training at the Royal Swedish Ballet School in Stockholm, Sweden. After graduation, he danced with Royal Swedish Ballet and performed in Sleeping Beauty, The Nutcraker, Don Quixote, Giselle, Swan Lake, Onegin, Raymonda (Pontus Lidberg), Emperor (Jo Stromgren), and Mid Summer Night’s Dream (Alexander Ekman). Yuliya completed her ballet training in Belarus at the Belorussian State College of Choreography under the tutelage of Marina Petrova. In 2015, she graduated from the Russian State Social University. Over the course of her training, Yuliya successfully competed in ballet competitions in the Ukraine, Russia, and Belarus. She has been a company member of the Bolshoi Theatre of the Belarus and Cork City Ballet. Canadian dancer Lauren Buchardt began her professional training at Canada’s National Ballet School’s Professional-Academic Program. She danced with the Dutch National Ballet as an apprentice, dancing corps de ballet roles in Balanchine’s Serenade, Symphony in C, as well as the Sleeping Beauty, Giselle, Swan Lake, and the Nutcracker. Lauren also worked with contemporary company De Dutch Don't Dance Division, and earned her B.A. in dance through the Amsterdam School of the Arts. She now freelances with companies such as Ballet Ouest de Montreal, Cork City Ballet, Shawn Hounsell Danse, among others. Lauren is also a freelance writer and works as a communications and marketing assistant at a local dance organization. She studies Psychology at McGill University and teaches Pilates and ballet at various studios.